In this time of uncertainty, how important is it to save MONEY? Of course we both know the answer. Advanced Weigh Technologies, Inc. (AWT) is offering you a solution to savings. Aright you’re asking, how can a scale company save me money? EASY! How many of your personnel does it take to count the items in bins? What if it took less then 2 employees to achieve the same task and with more accuracy. Would that save money? How acute is the counting process? Achieving inventory control requires a delicate balance. Maintaining quality control is also critical. Companies want to give their customers exactly what they paid for. Time and again, shipping less than ordered leads to dissatisfaction and lost customers. Accuracy translates to freeing up of capital, employees and having satisfied customers. If you paid four to six employees a weekend rate to come in and do inventory, you would more then pay the cost of a new counting scale, in addition, you would have this unit all year to count manufactured items, shipping items using one employee rather then multiple employees. ACCURACY = MONEY – LOST OR SAVED. Would you rather see your money go down the drain, or in the company’s pocket. Makes for a nicer bonus. Please go to our web page and see the counting scales we offer. 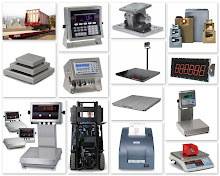 We have Avery Weigh-Tronix PC-902 and 905 at different weights and resolutions’. We also have Rice Lake Digi® DC-788 Series as well as the Ohaus® Series. Anyone of us will be more then happy to come out and survey your operation and make recommendations on how to SAVE MONEY today. In addition, AWT also carries an assortment of scales as well as having the capability of servicing your present scales. Have a great MARCH, and don’t forget to save some MONEY!